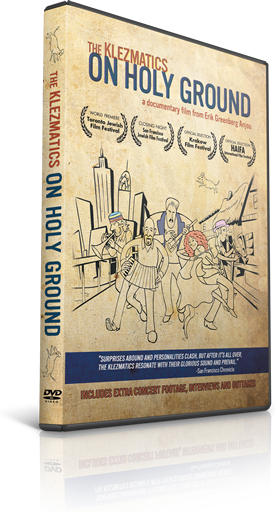 The Klezmatics: On Holy Ground Special Edition DVD is now available for the first time! Additional Interviews with Theodore Bikel, David Krakauer, Frank London, Nora Guthrie and Paul Morrissett. Outtakes with the Klezmatics around the world! A slideshow history of the Klezmatics and making of the film.